JOHANNESBURG (AP) — A French-owned oil tanker missing off Ivory Coast with 17 sailors on board likely has been hijacked, an official with an international piracy watchdog said Monday, in what may be the latest attack by criminal gangs targeting the ships to steal their valuable cargo. Meanwhile, a sailor died in a similar attack Monday near Nigeria's largest city. Details remained scarce Monday about the fate of the ship, flagged in Luxembourg. The ship had been reported missing Sunday and officials believe it fell victim to the same pirates operating throughout the Gulf of Guinea, said Noel Choong, a spokesman for the International Maritime Bureau in Malaysia. 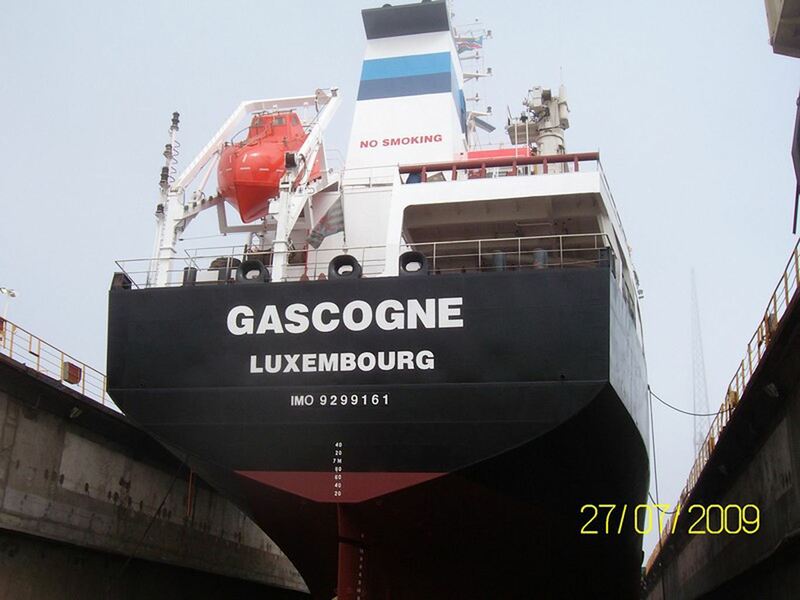 SEA Tankers, a shipping firm based in Merignac, France, issued a statement Monday afternoon identifying the missing ship as the M/T Gascogne. "The company (is) in contact with the relevant authorities in the region with the objective of re-establishing communication with the vessel's crew," the company said. "The safety of the crew and vessel remain the overriding priority." A company spokeswoman declined to offer any details about the identities of the kidnapped sailors. Aboubacar Ouattara, a spokesman at the Autonomous Port of Abidjan, said officials had been in an emergency meeting concerning what he described as a "hijacking." However, he declined to offer any specific details. The presumed attack Sunday comes amid a series of escalating attacks in the Gulf of Guinea, which follows the continent's southward curve from Liberia to Gabon. On Monday, pirates attacked another oil tanker anchored off Nigeria's largest city, Lagos, shooting one of the crew members, Choong said. The sailor died while in transit to a local hospital, the maritime bureau later said, though offering no other details. A security detail from the Nigerian navy shot back at the attackers, driving them away, the bureau said. Commodore Kabir Aliyu, a spokesman for Nigeria's navy, declined to immediately comment about the attack. In another attack Thursday off Nigeria's oil-rich southern delta, pirates on several small boats assaulted another tanker. In a sign of how violent the attacks have grown, the pirates fired a rocket-propelled grenade at the tanker during the onslaught, which missed the ship, the maritime bureau said. The crew suffered no injuries in the attack and their ship escaped, though it sustained damage from the gunfire, the bureau said. Over the last year and a half, piracy in the Gulf of Guinea has escalated from low-level armed robberies to hijackings and cargo thefts. Last year, London-based Lloyd's Market Association — an umbrella group of insurers — listed Nigeria, neighboring Benin and nearby waters in the same risk category as Somalia, where two decades of war and anarchy allowed piracy to flourish. However, attacks as far west as Ivory Coast are a new development. There have been two other similar hijackings off Abidjan since October. Pirates in West Africa have been more willing to use violence in their robberies, as they target the cargo, not the crew for ransom as is the case off Somalia. Experts say many of the pirates come from Nigeria, where corrupt law enforcement allows criminality to thrive and there's a thriving black market for stolen crude oil. "The pirates target oil tankers because they are actually targeting the gas oil," Choong told The Associated Press. "We're talking about millions of dollars." Associated Press writer Robbie Corey-Boulet in Abidjan, Ivory Coast, contributed to this report.